Husband of Susannah Whitaker, of 51, Church St., Harle Syke, Burnley. Reported missing since November 27th. Mrs. Whittaker, 51, Church-street, Harle Syke, has had an official intimation to this effect ? her husband, Pte. Thos. Whittaker (27), 26880, Grenadier Guards. 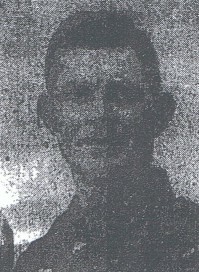 He joined up on October 2nd 1916, and was drafted on active service in March of last year. His occupation was that of a carter at Hargreaves', Harle Syke, and before then he was at Nelson. He went to Little Marsden School, and is on the roll of honour of Briercliffe Church. Two brothers are also serving, Enos and Henry. The former was well-known at Nelson as a footbaqller, and the other as a runner. Relatives are numbered among the killed and wounded.